Did you press on a brake pedal today? If you answered “yes” like millions of other drivers, we have important news for you. Your brakes are the most important safety feature on your vehicle. To stop your vehicle the master cylinder applies pressure to the brake fluid causing brake systems to activate. The color of brake fluid is not a reliable indicator of its performance ability. That’s why BrakeStrip is necessary to accurately test your brake fluid. BrakeStrip with copper testing technology is a simple visual test that determines when brake fluid replacement is required. A brake fluid exchange is similar to an engine oil exchange for your brake system. Old brake fluid can affect braking performance. Brake fluid exchange removes the old fluid and replaces it with clean, fresh new brake fluid. 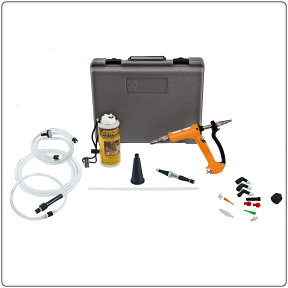 Ask your service facility to test your brake fluid with BrakeStrip while you get your vehicle serviced. Brake fluid breaks down like every other automotive fluid…. When brake fluid breaks down…. Why did my mechanic test my brake fluid with BrakeStrip? 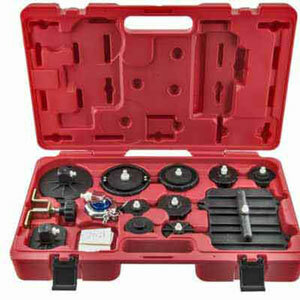 Your mechanic is trying to save you money in costly brake system repairs and to safeguard your stopping power. The only way to determine brake fluid condition is to test it. You can’t tell by color, moisture or time and mileage. The #1 cause of brake part failure (other than material defects and normal wear) is corrosion. The best way to protect your brake system from corrosion is by using Brake Strip to determine when brake fluid replacement is required. With BrakeStrip®, in as little as sixty seconds – you have clear, repeatable and reliable proof of the level of copper in the vehicles brake fluid, as an indicator of brake fluid condition. 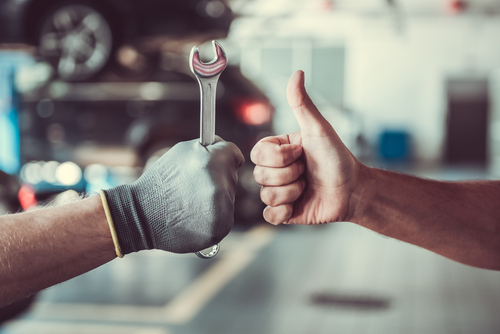 Confirmed in important government research, copper serves as the most dominant sign of the depletion of corrosion inhibitors in brake fluid and provides a verifiable means of determining the condition of fluid. The Motorist Assurance Program (MAP)† has established copper as its recommended standard for testing brake fluid to determine when fluid replacement is required. 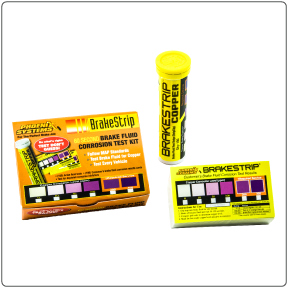 Once dipped in brake fluid, BrakeStrip® begins the copper measurement reaction – changing color from white to purple in direct proportion to the copper level. Compare the strip to the copper corrosion color scale and in as little as sixty seconds you have reliable proof of whether or not the brake fluid meets recommended guidelines. Why Test? Just like engine oil, coolant and transmission fluid, brake fluid “wears” over time. This leaves the brake system vulnerable to corrosion. Corrosion can damage the Anti-lock brake system (ABS) and metal components. If you see purple, it may be time to change your brake fluid and extend the life of your brake system. Less than 100% Stopping Power may not be enough…BrakeStrip will help! Brake fluid helps stop your vehicle and protects the brake system from corrosion! 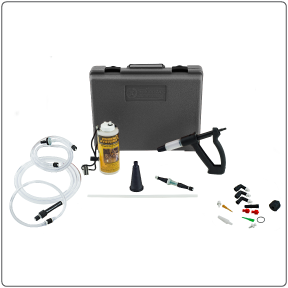 Regular brake fluid testing is the best way to maintain brake performance. It has been proven, you can’t tell brake fluid condition by color, moisture, age or vehicle mileage. Copper is the only standard for testing brake fluid. Only BrakeStrip uses copper testing technology to provide a quick and easy test+. Find the master cylinder cap, identified as “DOT 3 ( or DOT 4) Brake Fluid Only”. Unscrew cap and dip the strip into the brake fluid for one second. Shake off excess fluid and wait 60 seconds or longer. Compare the pad color and determine copper rating. Important: BrakeStrip is not a certification of brake fluid. It is intended as a means of determining when to replace brake fluid in accordance with MAP-UICS guidelines†. †Motorist Assurance Program UICS requires brake fluid replacement at 200 ppm of copper.